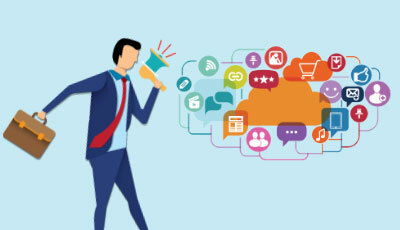 Marketing is at the core of success of any product or that of the company that produces it. Sometimes it is said even an average product can be sold by intelligent marketing management. It is not the product that matters but how you sell it which underlines the importance of this core department in any firm. For that matter in many leading organizations, it is not the technical or administrative people who get chosen for top positions of Managing Director/Chief Executive Officer (CEO) and become part of the board. First stage in any product development is market research which is done to assess the potential demand and growth expectations in the market. If it is already an existing product category such as shoes, cooking oil, soap, TV, there would be lot of secondary data available from research agencies and in the public domain. However, if it is a new product or service, it makes sense to do a sample market survey with the help of a competent firm. In such cases, a more broader term is used – marketing research. This can gauge the attitude of buyers, potential market size, consumer preferences, acceptable pricing, product features and attributes. Likewise, in the service industry too, a new marketing management concept or service is normally launched after elaborate surveys. Market surveys or competitions are organized to decide on product or brand names. William Shakespeare asked, “What’s in a name? A rose smells sweet by any other name. However, in business, a good brand name can spell success while an inappropriate name can spell failure. Product, Price, Promotion and Place are the four P’s of marketing and market research usually focuses on one aspect such as price or promotion. 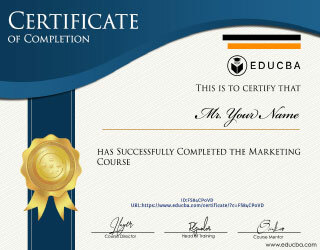 Marketing management professionals depend on two types of data for analysis of the market- qualitative and quantitative. Qualitative focuses on consumer perception, attitudes and opinion of a particular product or service while quantitative data refers to units sold, produced, distributed in a particular region and time. It may be noticed that when a company launches a new product or brand, if there in adequate research or market surveys most probably the initiative is bound to fail. On the other hand a scientifically designed research and survey methodologies are likely to result in better product development and acceptability by consumers. For eg. satellite phones launched in many countries did not succeed because of its cost and perhaps ahead of time. Sometimes, a brand name may not be acceptable in a cultural context and hence likely to fail. Colgate launched its toothpaste brand ‘Cue’ in France not knowing it was the name of a popular pornographic magazine. Mercedes-Benz launched ‘Bensi’ model in China but it meant ‘rush to die’. All this goes to show market research, marketing management research is the first and vital step or foundation to building a successful product. Every product or service should serve a consumer need and if it doesn’t, the launch is likely to end in failure. Once the market research has enabled the evolvement of specifications of a product or service, the next step in the marketing management process is the making of the product. Getting the right raw materials, dies, fabrication, prototype making and other processes are some of the details to be worked out with the production planning and manufacturing units. The success of a product would depend on raw materials, technological know-how and good inventory management. Experts say that with rapid advances in technology and availability of raw materials, product life-cycle is getting shorter and shorter. Each product goes through a cycle popularly known as Product Life Cycle (PLC) which is made up of the following stages-development of product, introduction to market, growth through increased promotion and sales, maturity when sales reaches a peak, followed by saturation in the market and subsequent decline. Product Life Cycle (PLC) will differ across products and categories, sometimes it may last only a few weeks or months while in some other cases, some years. PLC can be extended through advertising to gain new market share, price discounts to lure customers, using product enhancements to add value and target new areas. Even new packaging and colour changes can improve perception levels. Before promotional activities are planned on a large scale, it makes perfect business sense to test market the product in select cities or regions so as to guage the market response and if any changes in product are required, modification and design changes can be carried out before it reaches the retail shelves and in the hands of customers. A good product would not sell unless the consumers come to know about the product. 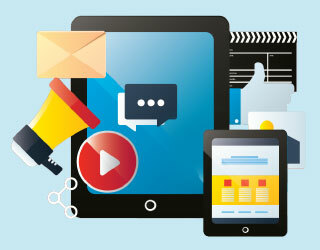 With the advent of marketing management technology, newer options are available at the disposal of the marketers. The first step in the process is to identify a media planner and device appropriate mix of platforms to announce the launch of the product. 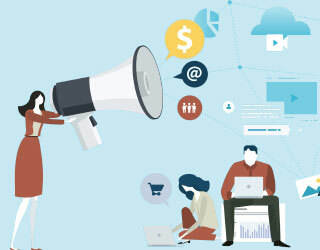 With a little effort and support from public relations agencies some launch publicity can be obtained in business newspapers and business pages of newspapers. Newspapers, radio, television, websites, social media such as Facebook, LinkedIn, Pinterest,Twitter are all useful platforms to launch and popularize products. Since no company has enormous resources to spend on advertising they need to optimize their spend so that positive return on investment (ROI) is achieved. Similarly newspaper, broadcast and online advertisements have to be on a sustained basis to ensure brand recall among customers and drive sales growth. There must be continuous monitoring and tracking of ad spends and their ability to make sales conversions. The newer media are cost effective but may not lead to immediate sales conversions as FaceBook likes, shares and comments are only the beginning of the engagement process with consumers. The company has done the market research, identified the product required and gone ahead with production planning, prototype testing, advertising and promotion, and marketing management trials. Now comes the most crucial part of the business process- sales and distribution. The products must reach the targeted markets through a well-planned distribution channel of national level distributors, clearing & forwarding agents, regional distributors, wholesalers and retailers. This is a crucial marketing management function as ready availability of the product is vital for the consumers to buy and consume the product. Many a time due to lack management function of planning, the products may not have reached the shop shelves but sufficient advertising has created a demand among consumers who in turn get disappointed when the product is not immediately available. The marketing management team needs to build a network of distributors and work on the logistics part either depending on an in-house fleet of trucks or outsource the function to third party logistic service providers. In case of perishable products, sufficient care should be taken to ship them in refrigerated containers or those protected from direct sunlight and heat. There must be proper enterprise resource planning (ERP) system in place to track the acitivities of finance, production planning, shop floor, marketing, sales, distribution and administration so that marketing management requirements are adequately met, inventory control and financial cost control is achieved. Use of mobile computing applications can enable field staff to get to update and feed market data and information to headquarters on a real time basis. Proper storage of goods are vital for not only perishable and semi-perishable goods but also for processed food, consumer durables, but only to a lesser extent for industrial goods. It is important that distribution centers have adequate warehousing facility that can be leased and emergency requirements for supply to retail outlets. The products produced should conform to regulatory standards regarding safety, environmental impact, quality of raw materials used, design and other parameters. In USA, UK, Gulf Co-operation, countries and in Asia, governments have set different standards for food, consumer, electrical equipments, mobile gadgets and products are allowed to be sold only if they meet those stringent requirements. Although this is a function of the production and technical teams, the success of the product would depend on conforming to such standards. Marketing management team also needs to ensure that the products are periodically tested and evaluated based on consumer feedback so that adequate improvisations can be made. Most often companies pay less attention to an important function of market- after-sales service. The success of a product depends on customer satisfaction and hence it is vital that it is tracked on a regular basis. No product is perfect but the success of a company depends on how fast it is with complaints redressal. In recent times, major car makers Ford, Toyota and Suzuki had to recall several new batches of their cars due to technical defects. It happened with Apple iphones too. It goes on to prove that even large corporates are fallible and it is in their long term interest to admit and provide product replacement and support. Most often goods are sold to distributors and wholesalers on credit and not immediate cash. The act of providing credit and money when needed for distributors, the costs of getting merchandise into the hands of the final user is known as finance function in marketing management. The need finance in marketing activity is towards working capital and fixed capital that can raised through own funds of the company if it is cash rich, or through bank loans and advance and trade credit. Trade credit is provided by the manufacturer to distributors and wholesalers. Various options of short, medium and long term finance have to be availed in the marketing of goods and services. It may be recalled that in times of mild recession and change in trade cycles, wholesalers, distributors and retailers face cash flow problems and fail to meet their day-to-day obligations. To the extent they are not able to prove their creditworthiness, adequate institutional financial management function support may not be forthcoming. It is here that the marketing management team has to lend a helping hand to tide over the crisis by rescheduling payments and giving time to meet the obligations of sellers and resellers. Business carries a lot of market risk due to new competition, fall in prices, loss of goods due to spoilage, depreciation, obsolescence, theft, fire and floods. Sometimes for unknown reasons a slight defect or quality concerns in certain batches of goods shipped may have to be recalled. New regulatory rules can also make sale of manufactured goods or products impossible. It is the function of marketing management to provide for adequate market risks which are unforeseen and often unpredictable with the data available. Timely market information is vital for product enhancement and sales growth. The importance of timely market information is being recognized more than before due to expansion of markets, proliferation of products and intense competition. 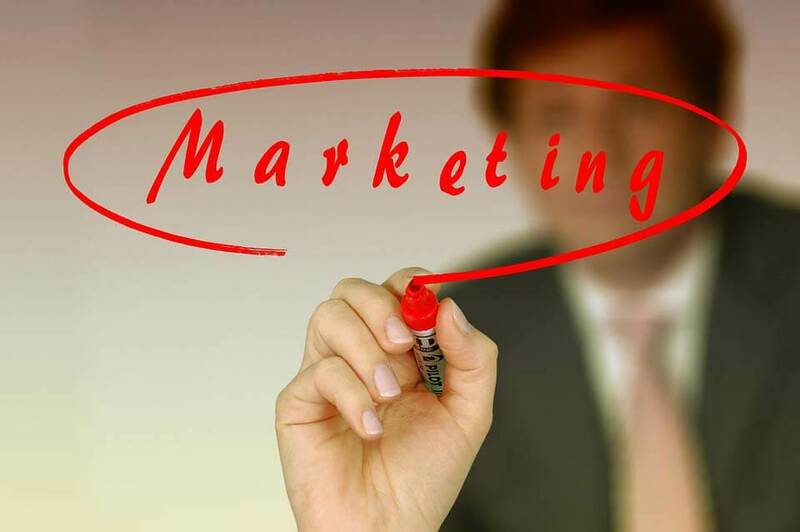 Timely marketing management information is vital for the companies to decide on when to sell, at what price to sell, the number of competitors and their offerings. Now business firms employ service providers to gather data, analyse and interpret facts. They also actively seek facts, information from external sources such as government publications, government reports and market research firms. Such data an also come from internal departments and a robust ERP system can enable creation of useful marketing management reports that help in business decision making.